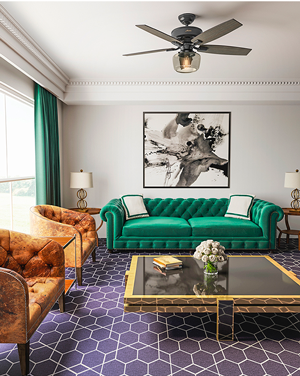 Welcome visitors with breezy, elegant style in every room. It’s summertime, which means your guest room is likely to be fully booked with visiting friends and family. To prep for all the fun, you’ll want to have extra linens and fluffy towels, fresh flowers, chilled wine, and plenty of glasses. 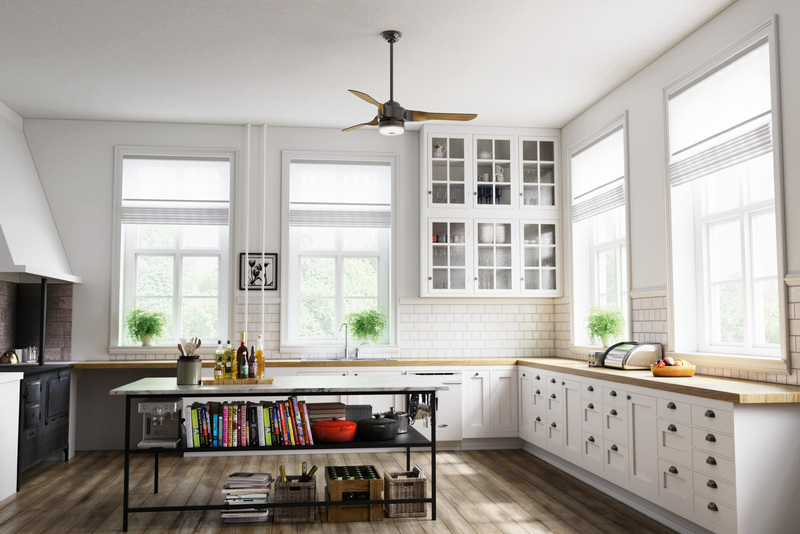 Stylish ceiling fans can also add comfort to all the areas of your home where you entertain. Let’s have a look at how, with ideas from Hunter. 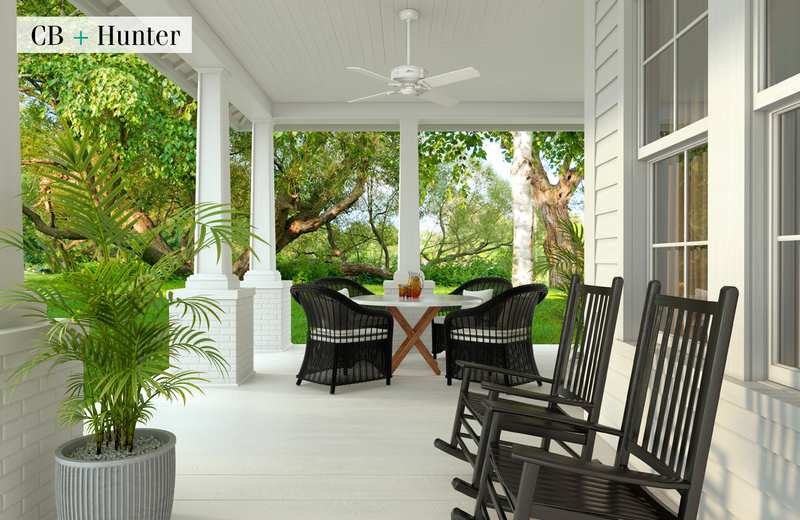 Make covered porches, sunrooms and patios more comfortable by installing an outdoor fan. This type of fan is damp-rated, which means the components of the motor are designed to withstand the extra humidity encountered in an outdoor setting. 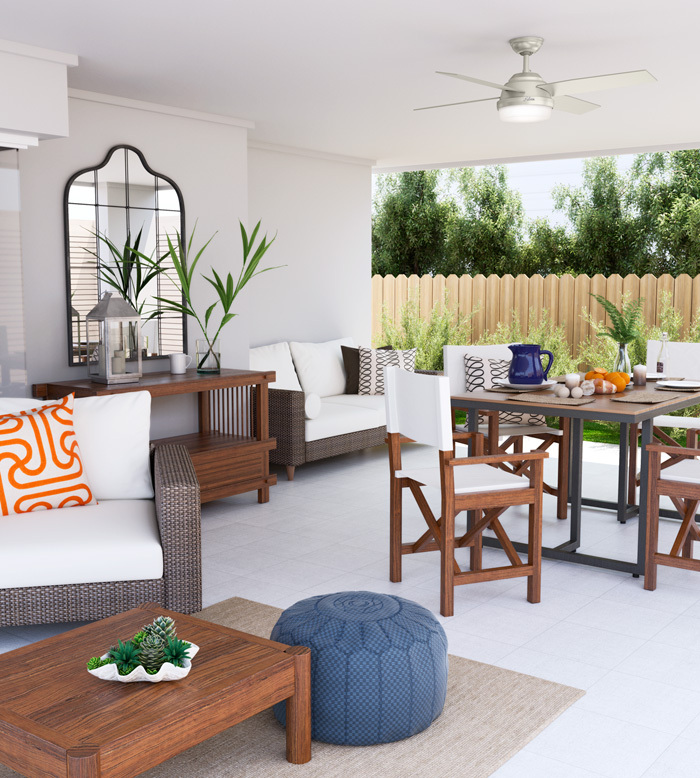 Not only do outdoor fans keep spaces cooler on sultry days and nights, but they help shoo mosquitoes away as well. Install ceiling fans near dining tables, rocking chairs, porch swings and other spots where conversation tends to linger. All the comings and goings of extra house guests translates to extra loads of towels, sheets, shoes, wet swimsuits, etc. 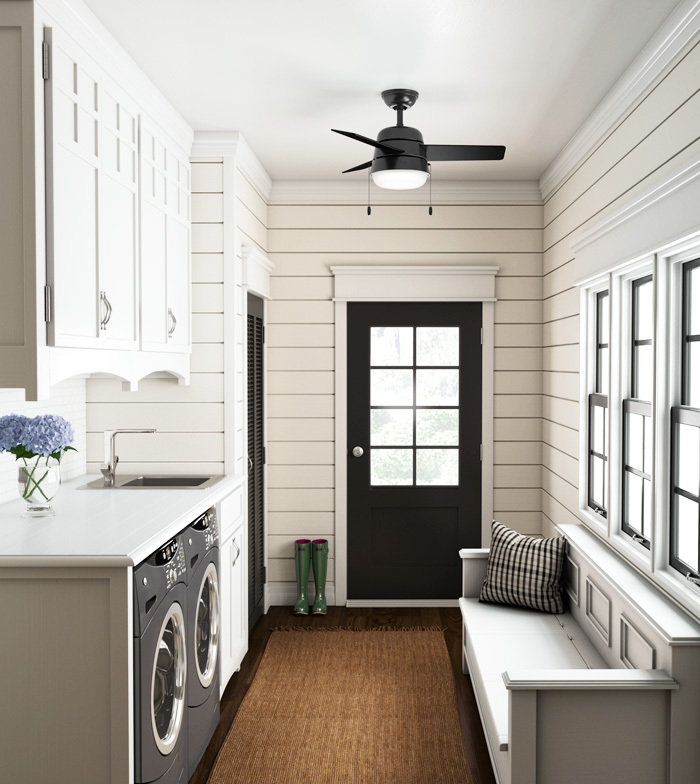 It’s no surprise the laundry room, mudroom and back entry areas can get extra busy. A small ceiling fan not only adds nice visual appeal here, finishing off the rustic style of this room, but also keeps things from getting musty. Another tip: use a bench to create extra storage space and have a spot to take off shoes. They say the kitchen is the heart of the home; then again, they also say, if you can’t stand the heat, get out of the kitchen. 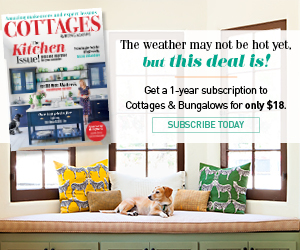 May we suggest a ceiling fan? Choosing a model with an LED light kit such as the Apache, shown here, allows the fan to do double duty as a source of illumination. A model with remote control is key, allowing the chef to flip the fan on or off while still flipping pancakes for all those hungry houseguests. Prior to guests’ arrival, freshen the guest bathroom by replacing any worn bathmats and funky shower curtain liners. Stock the cabinets with basics your guests may need, like shampoo and moisturizer, and add thoughtful touches like aromatherapy sprays or local-made bath goods . 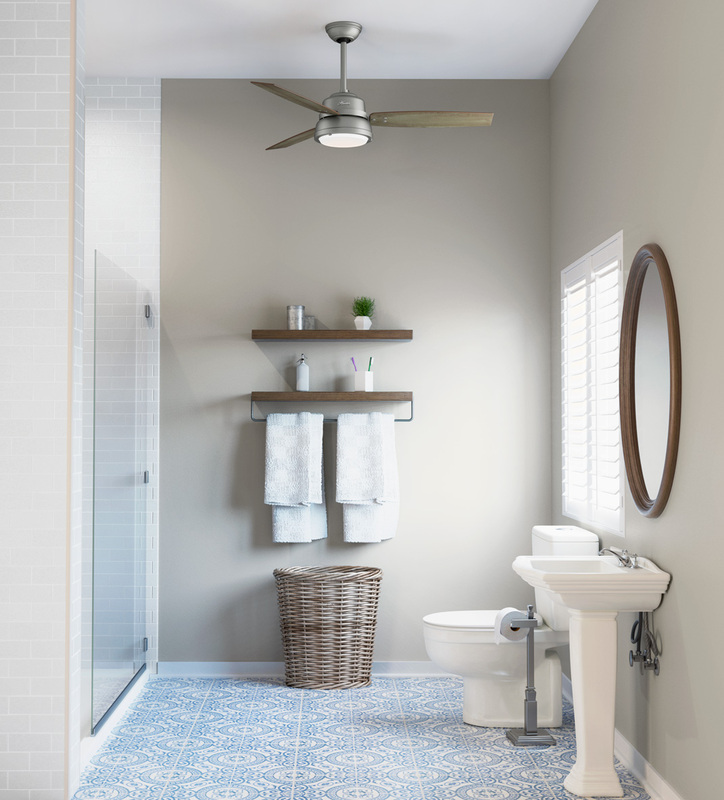 A ceiling fan gives this neutral guest bathroom more of a suite feel, making it feel spa-like and special. A fan creates more ventilation, which can reduce mold, keeping the room fresh all year round. 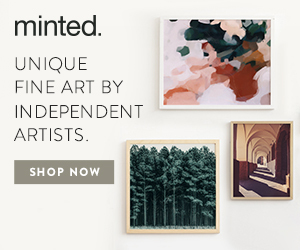 Shop for all your breezy summer entertaining needs at Hunter: www.itsahunter.com.